Yes, I'm still wearing heels while pregnant. (Sorry, Mom!) Though not as much. Honestly, I can't stand or sit for too long. I have to alternate between both. She, on the other hand, is constantly kicking up a storm in my belly! I love it so much! I feel like it's how she communicates with me. She kicks the most when I'm eating or if I'm listening to music. She's just like her daddy - loves food and music. 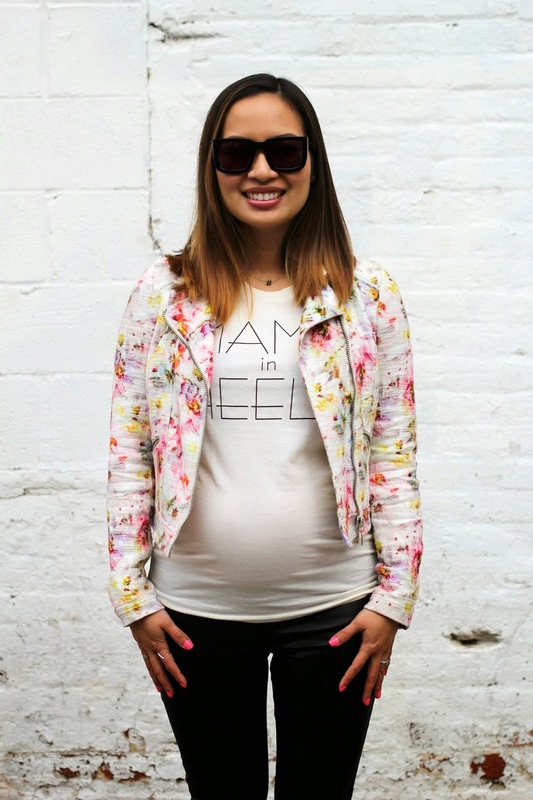 I also love a t-shirt that communicates the beauty and chicness that is motherhood. If you love heels and are a mom, then you'll love this 'Mama in Heels' shirt too! Thank you so much to Oh Baby Chic for sending it to me (c/o). I'll even be wearing it post pregnancy!